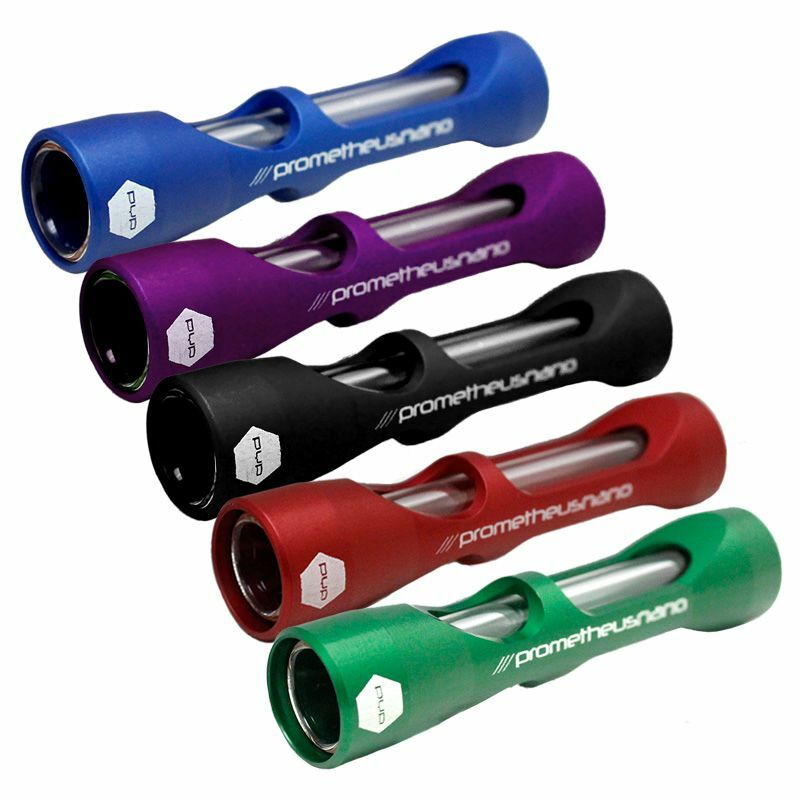 The Prometheus Nano pipe is an ultra portable bat style pipe with a modern twist. It features a rock solid aluminum exoskeleton over internal glass for the ultimate smoking experience with the smallest build possible. The Nano is just 3.25 inches long and about half an inch wide, making it perfect for a quick puff during your next concert, walk through the park, or any other outdoor adventures you might find yourself in. 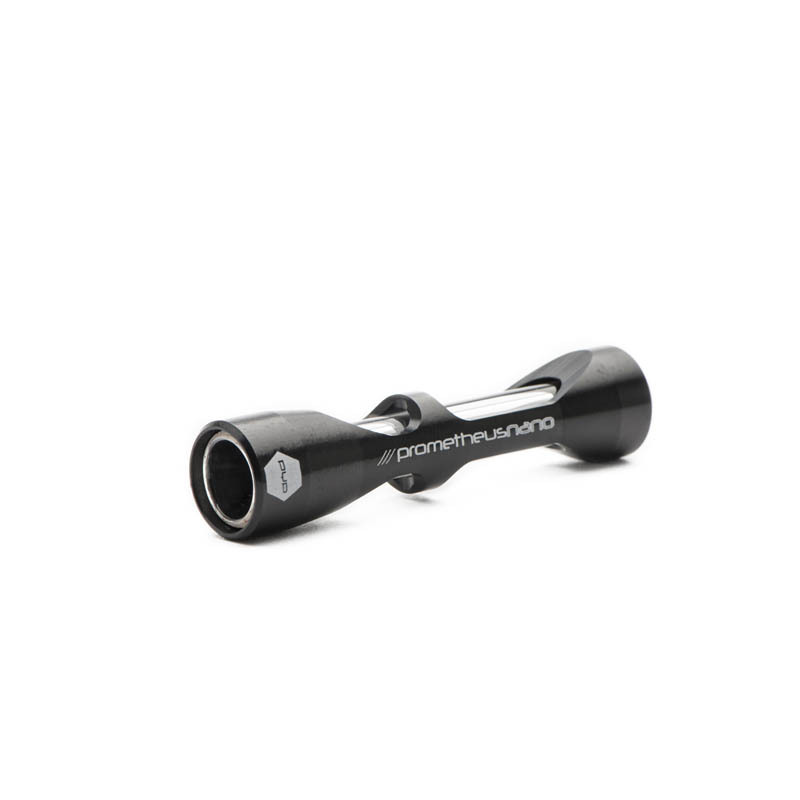 Just like the larger Titan and Pocket pipes, the Nano combines the purity of an all glass bowl and smoke path with the protection of thick durable aluminum armor. A set of 2 orange rubber o-rings create a shock absorbing buffer between the sensitive glass and strong outer armor, so that the Nano can take bumps and bruises like a champ with a far lesser chance of taking on any damage. It completely disassembles with little effort making cleaning a breeze. Likewise, any broken or damaged part is quick and easy to replace. 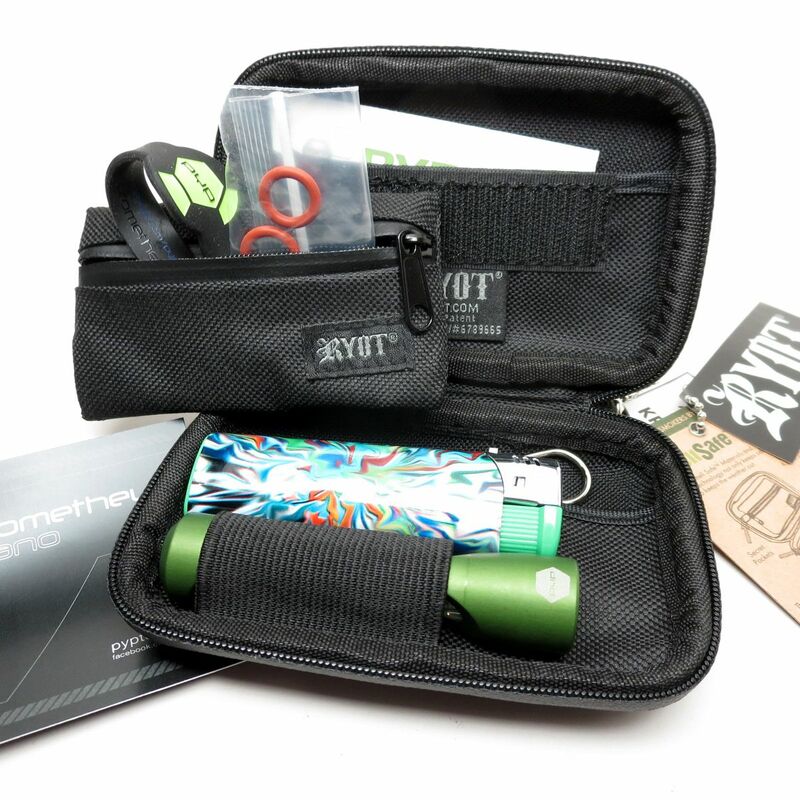 This authentic Nano pipe features the official PYPTEK logo and Prometheus branding down the side of the armor and is available in Black, Green, Blue, Purple, Red or the newest Gunmetal option. Add Replacement Glass Set: The Prometheus Nano has an internal glass section that can eventually break. 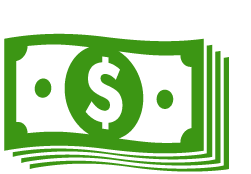 Add on a replacement glass set at a discounted price above and stay ready to replace it whenever the time calls.